Homemade mac’n’cheese in 30 minutes? It’s true. Creamy and bacon-studded, this dinner is the ultimate quick, comfort food. For an easy vegetarian version of this hearty main dish, omit the bacon and add a little more olive oil when you sauté the shallot mixture. This Asian-inspired salad would also be good made with chicken or shrimp instead of pork. Our version of this classic soup is medium-hot, but if you like it a little spicier, use the higher amount of serrano chile and a pinch more cayenne. You could easily substitute ground beef or even turkey for the lamb in this flavorful one-pot dish. Using fresh chard leaves in place of the usual basil is a great way to enjoy the classic sauce when winter greens are in season. You could also try spooning the pesto over squares of pan-browned polenta instead of pasta. We like to make this in a double batch so there’s plenty for lunch the next day. These giant dumplings are like a meatball and a pot sticker in one, surrounded by a rich broth. This hearty frittata is great for brunch or dinner. Here’s a recipe to add to your go-to list: easy enough to pull off for a Tuesday night dinner but special enough to serve to guests. Medium cooked eggs are a nice addition to this heavily-spiced rice and chicken dish. We like the robust flavor of red Swiss chard in this soup, but you could also make it with green Swiss chard, which is milder, or spinach. Lentils are a staple in India, and this simple weeknight meal is great way to introduce this flavorful cuisine to your family. Panzanella, a traditional Italian bread salad, gets an upgrade with sweet roasted fennel, fried eggs, and crispy, salty pancetta. The salty, tangy pan sauce in this recipe by chef and cookbook author Joanne Weir would also be excellent with other cuts of pork such as tenderloin. Kale’s hearty texture holds up to the high heat needed to create a crisp pizza crust. Its deep flavor is a great match for spicy chorizo and bold manchego cheese. This hearty, less-is-more stew riffs on rustic Italian flavors. Serve with crusty bread and a green salad. 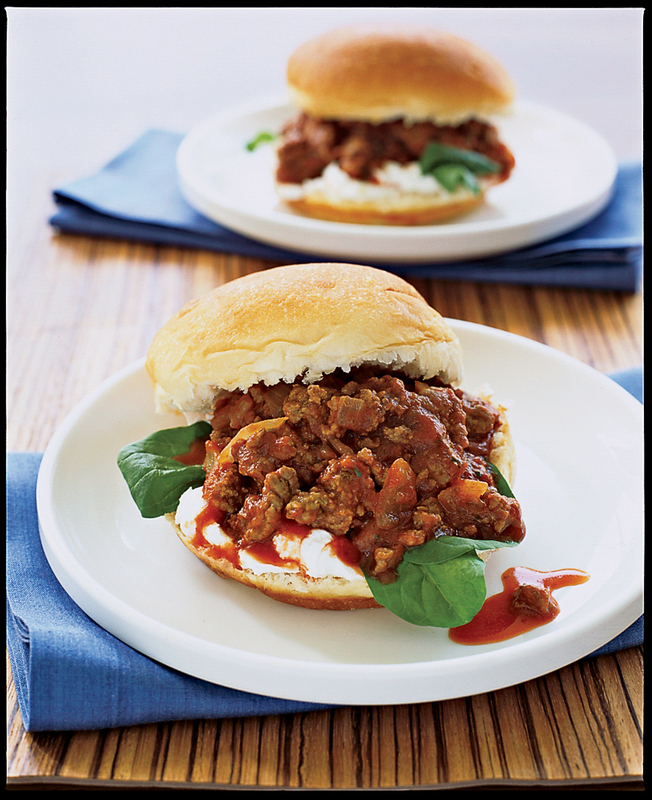 This jazzed up version of a sloppy-joe is miles away from the canned stuff, but just as quick. Fresh rosemary, honey and garlic add depth of flavor to the sauce, while goat cheese and baby spinach round out the sandwich and compliment the lamb beautifully. This quick, one-pan dinner is chock-full of our favorite things: Sweet and tender shrimp, crisp green onions, and freshly shredded parmesan cheese. Oyster sauce adds wonderful ‘umami’ to this Asian-inspired dish, and can be found in the ethnic foods aisle of most supermarkets. Serve over fluffy rice for a satisfying meal. 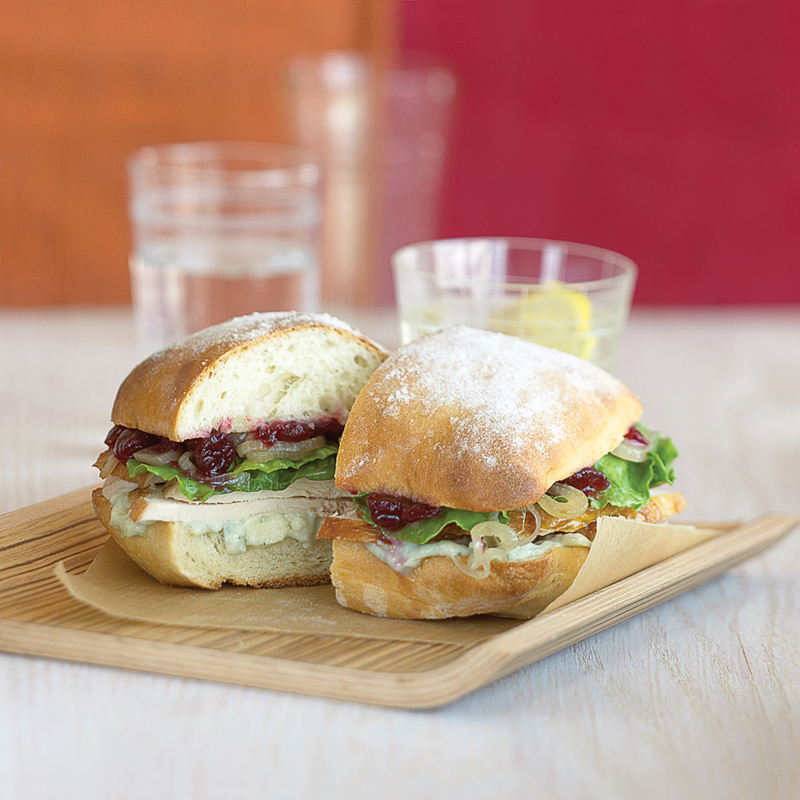 Search no further for that perfect leftover holiday turkey sandwich. This one has it all: Sweet caramelized shallots, pungent blue cheese, and tart cranberry sauce. You might find yourself roasting turkey year-round just to whip up this tasty meal. These meatballs come with a surprise–hard boiled eggs in the center. Be sure to serve them over rice to sop up the rich, spicy sauce, and top with cilantro for a little color. Fideos (vermicelli) are much loved in Mexico, where they form the basis of thick, delicious soups. Usually the soups are served as a first course, but our hearty shrimp version is a meal in a bowl. Last minute guests coming for dinner? 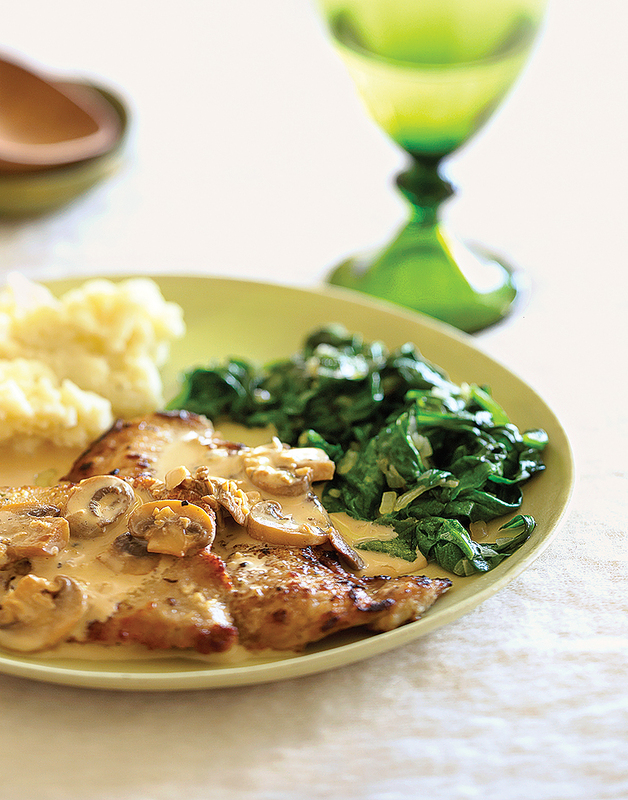 Tender veal and a rich, marsala-laced sauce make this weeknight dish fancy enough for company. Boned, skinned chicken thighs are just as convenient as breasts, and they have an added advantage: Their succulent texture and robust flavor stand up well to braising. Add the flavors of Italian salsa verde–bright parsley, tart lemon, piquant capers, and green olives–for a fresh, fast twist on cold-weather cooking. If you’ve only had hominy―big, starchy corn kernels with the hull and germ removed―in posole, you’ll be amazed at how delicious and satisfying it is all on its own. Here we cook it in the seasoning left in the pan by the sausages to maximize flavor. 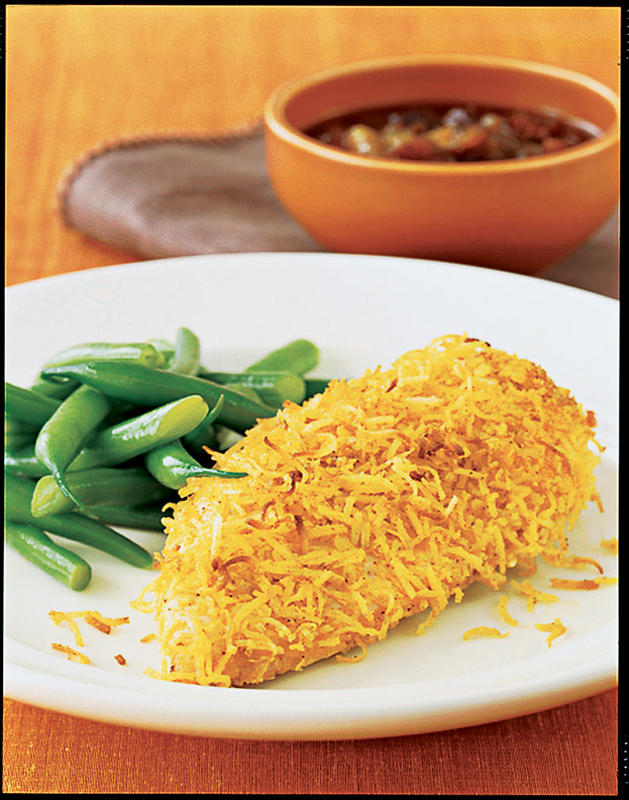 Chicken breast gets an easy upgrade with shredded coconut and curry powder. You can vary the sweetness of the dish with the type of coconut you use, or serve with Major Grey chutney for a bit of tang. 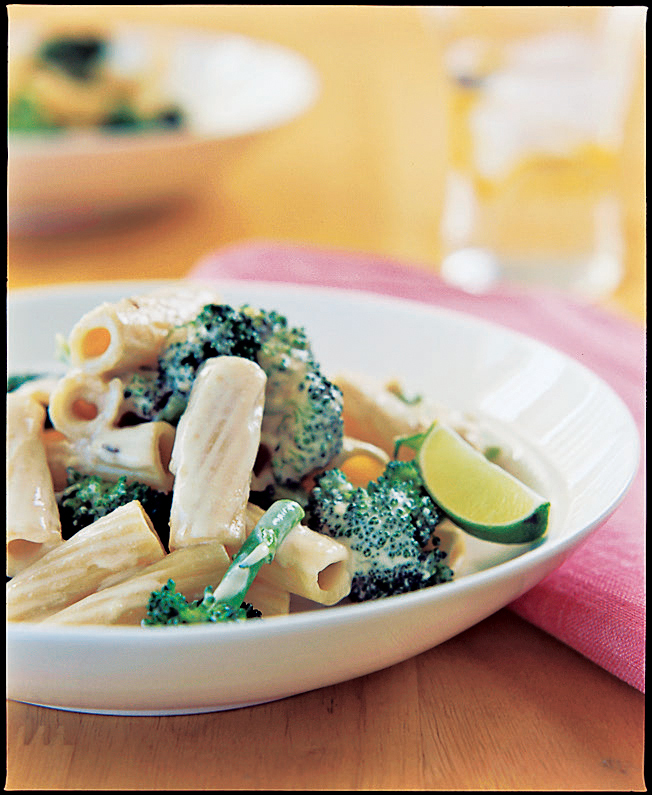 Whole-wheat pasta lends extra nuttiness to this Indonesian-inspired vegetarian entrée. 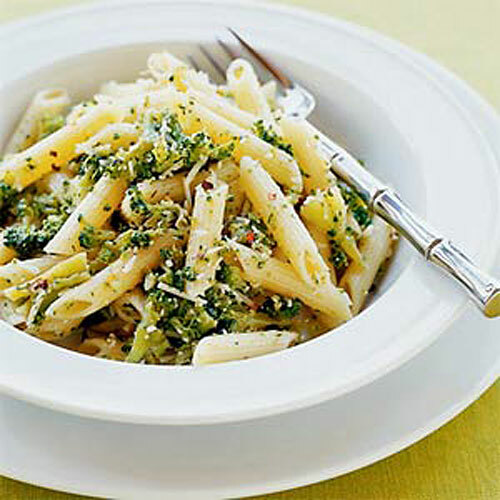 Broccoli gets an unusual treatment in this delicious sauce–it cooks with olive oil and garlic slowly until broken down into a soft, flavorful pasta topping. 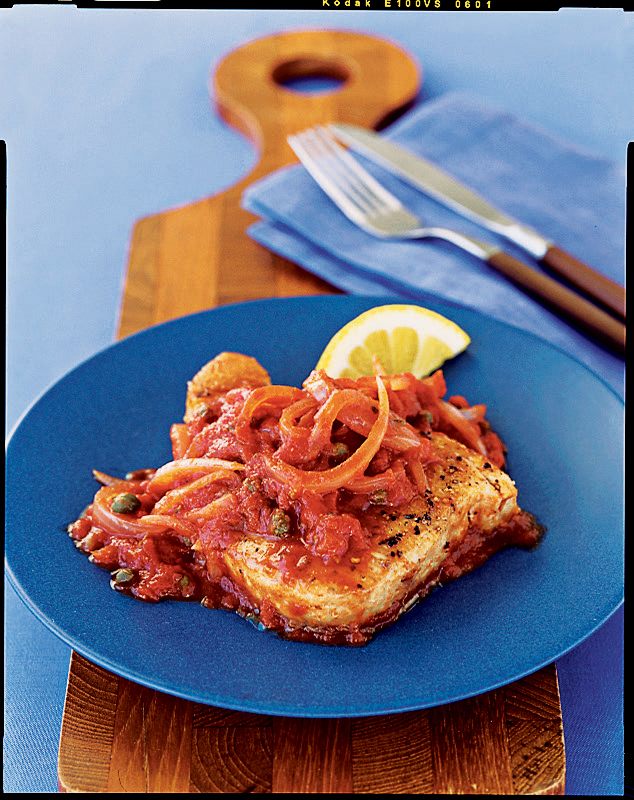 Serve this flavor-packed dish with lots of crusty bread to sop up the delicious Mediterranean-infused sauce. Milanese refers to meat that has been pounded or vegetables that have been thinly sliced, dredged first in egg and then in a mixture of bread crumbs and grated parmesan cheese, and fried. Although they’re not traditional, we like using panko (Japanese bread crumbs), because they make a crunchier crust. This elegant pasta has only a few ingredients, but together they make an incredibly satisfying supper. The dish requires nothing more than a big green salad as accompaniment. This spicy 5-ingredient recipe takes almost no time to throw together. Serve it with rice and your favorite veggies for a easy, well-rounded dinner.